Sharing wealth with slaves V.16:71. Kindly elucidate its reference. Muslim Villa > Forum > Category 5 > THE GLORIOUS QURAN > Brief explanation / tafsir of Quran Verses > Sharing wealth with slaves V.16:71. Kindly elucidate its reference. "And Allah has favored some of you over others in provision. But those who were favored would not hand over their provision to those whom their right hands possess so they would be equal to them therein. Then is it the favor of Allah they reject?" (16:71) An-Nahl. As-Salam Alaykum everyone. At a small get-together with family and friends yesterday, we were discussing the allusion contained in Verse 16:71 of Surah An-Nahl. Someone interpreted it as sharing one's wealth with their slaves (or the poor) as a means to establishing a sound economic system in the community or country. No doubt, providing to the needy is greatly emphasized in the Noble Quran, but neither my husband nor me agreed to that person's interpretation concerning this particular Verse. Another person in the gathering said that the Verse expresses the concept of adhering to one's rationale in regard to alms giving, implying that even charity should be spent sensibly within limits, avoiding either of the two extremes. We are still not sure which of the two explanations might be correct or both these commentaries could be inaccurate; could there another interpretation that could be viewed as the most accurate? Kindly share your opinion to help us. Allah bless. Re: Sharing wealth with slaves V.16:71. Kindly elucidate its reference. Wa'Salam. Good question sister. I discussed it with my dad. Like me, he too thinks both those commentaries you stated from friends don't appear too correct in regard to this specific Verse. Verse 16:71 is basically analogical where Allah explains a point with a comparative example. Only Allah knows the exact explanation of every Verse. But for us to keep closest to accuracy while trying to understand a Verse, we need to stay within the context of the topic Allah discusses in the preceding and following Verses of that specific Verse we are focused on. If you read Surah An-Nahl from the start until V.71 and beyond, the emphasis is on Monotheism (Tawheed) and its recognition. 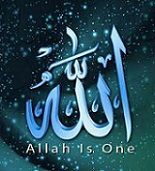 Allah gives various examples on the proof of Monotheism (Tawheed) and the profound necessity of its recognition with complete rejection of polytheism (shirk). With the help of the analogies or similitudes stated by Allah, He wants people to reflect and understand His wonders, His blessings and recognize Him alone as the Sole Creator and consequently follow right conduct. If we try to understand Verse 16:71 by keeping it within context of the contents of this Surah, it means that privileged people would never make their slaves or servants their equals in terms of wealth and power which Allah has bestowed on them. Yet, these people don't hesitate to attribute partners to Allah by committing shirk and worshiping false gods claiming these false deities to be equal to The Almighty. Such people are guilty of shirk as well as ingratitude toward Allah by ignoring the wealth and riches He has bestowed on them. Thus, the analogical reference is that although the disbelievers (or mushriks) do understand the difference in worldly status between master and subordinates, yet they foolishly ignore the huge difference between Allah Almighty and His creation (or His slaves); instead these people set up the latter as partners of Allah and express their gratitude to false deities for the blessings Allah has bestowed on them. "He presents to you an example from yourselves. Do you have among those whom your right hands possess any partners in what We have provided for you so that you are equal therein (and) would fear them as your fear of one another (within a partnership)? Thus do We detail the verses for a people who use reason." (30:28) Ar-Rum. Oh! Thanks brother. I get it now. I knew we were missing out on something. Must forward it to my husband as he has been very eager to hear what MV has to say. May Allah guide us to the truth. Allah bless.